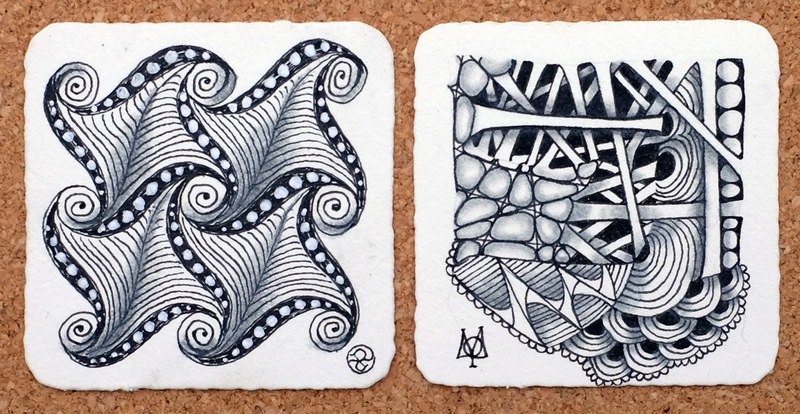 "What on earth am I supposed to do with all these Zentangle tiles once I have drawn them?" Well, I never have thought this might actually be a problem (as you'll soon see). Maybe if I carved life-size birds out of wood, after carving 50 or so I might wonder where to put them, but not a 3 1/2" square of paper. Since we already have sooooo much stuff on the walls, we are having to get really creative as to where to put them. But it's fun. Sorta like it's the hunt for the "perfect" pair of boots that makes the day interesting, not the purchase. 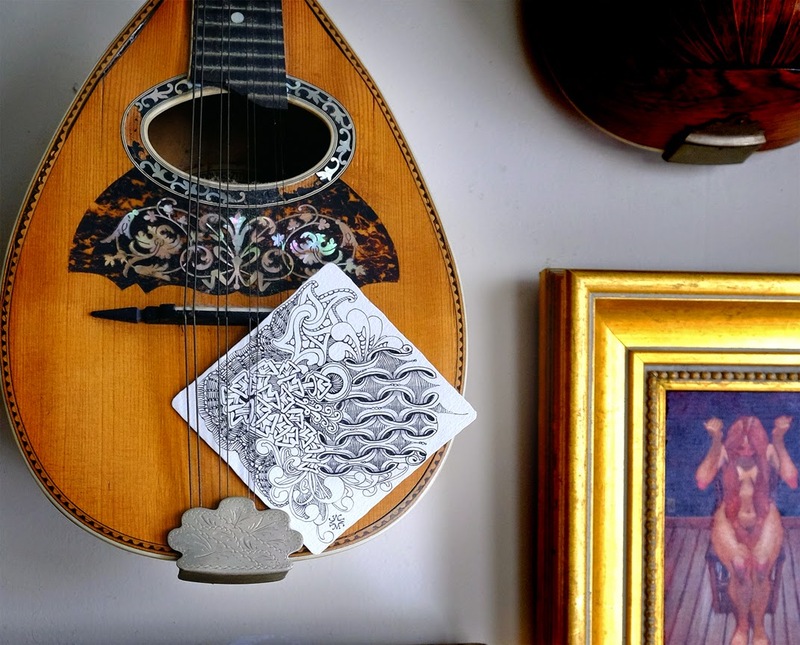 While I can understand that it might not be feasible to frame and hang every one of your tiles, it may be fun to have your favorite ones hanging around and interchange them often . . . giving yourself time and opportunity to appreciate your new-found artistic self. So, here, my friends, are a few suggestions on what you do. Get stuck up. I mean, literally. 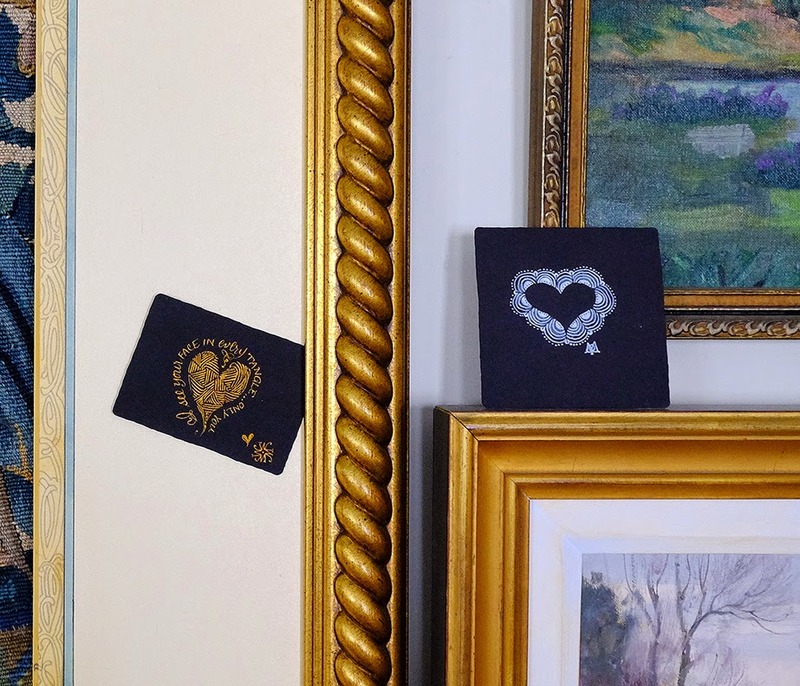 There's this stuff called "mounting putty" or "removable adhesive putty" that is super sticky but not so sticky that it destroys stuff when you take it down. 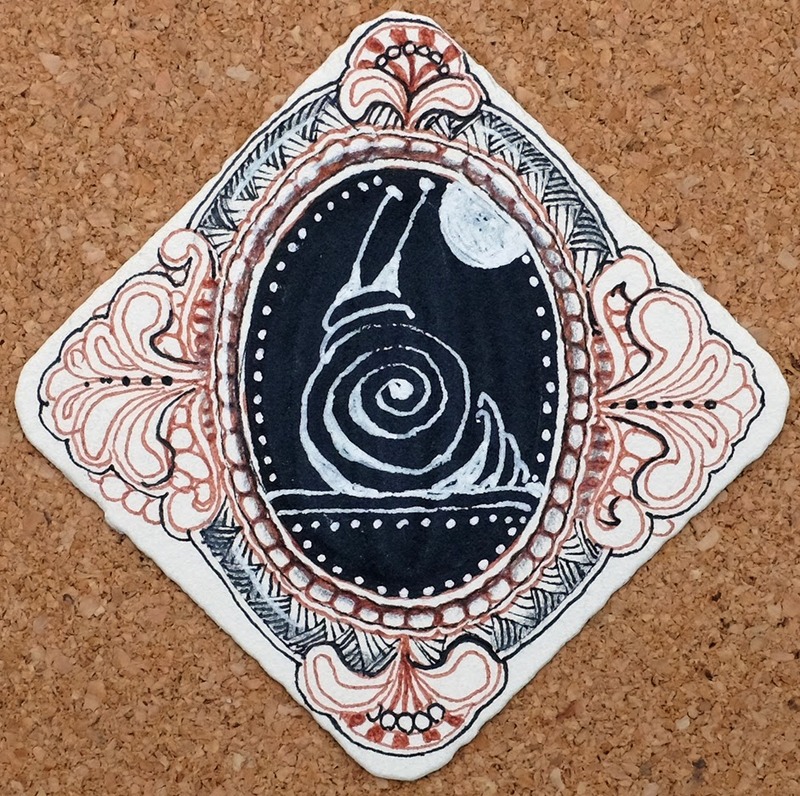 And it does not (as far as I can tell) destroy your Zentangle tile. This stuff sticks to pretty much anything. And because a tile weighs almost nothing, it hold fast and you don't need to use much. 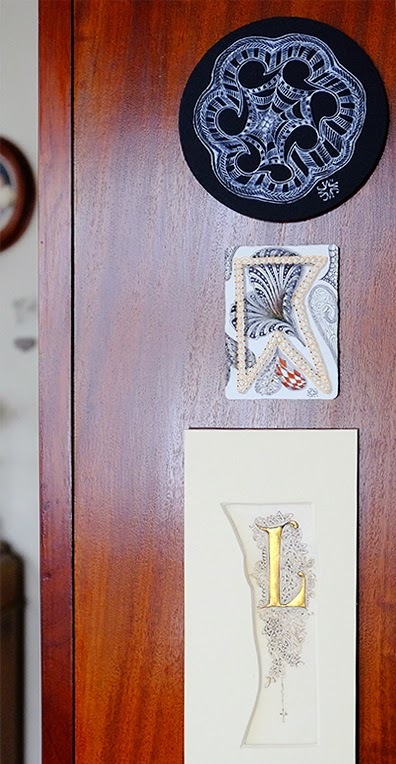 I stick tiles to the walls, mirrors, furniture, car windows, inside the glass on glass cabinets, bathrooms, stick them on top of the glass on other framed pieces that you might be a bit tired of (this is actually pretty cool), kitchen cabinets, refrigerators, windows . . . you get the idea. You can see the putty because the tile is on the inside. 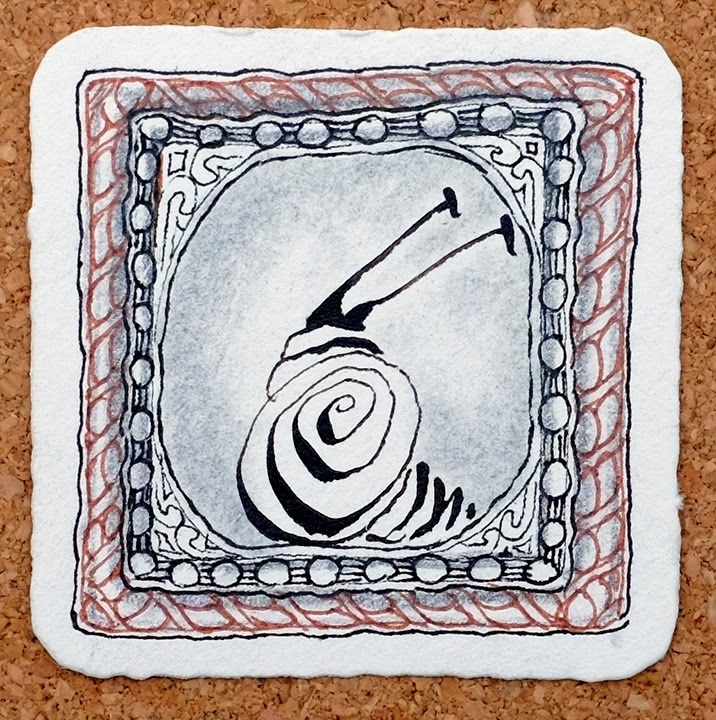 This is a tile that was sent to us by an avid tangler. 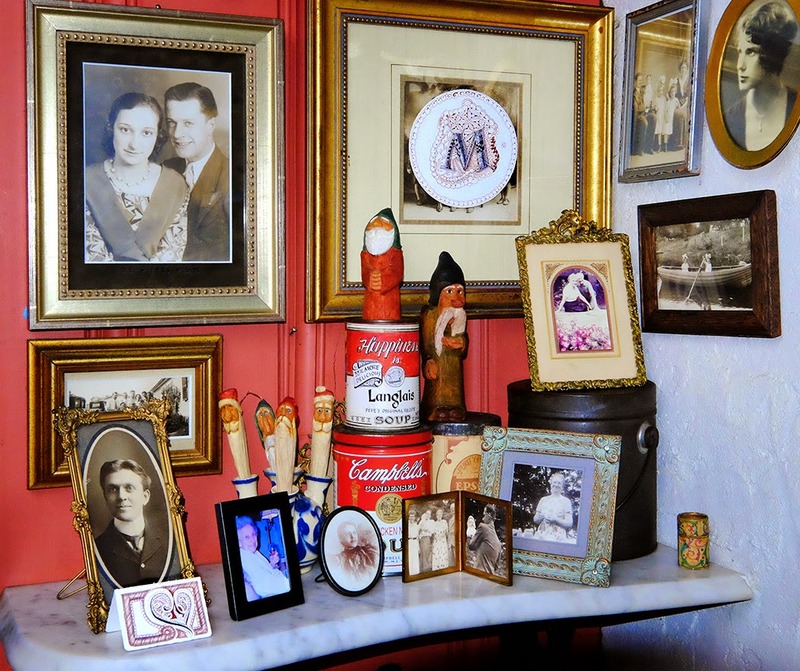 Old pictures get new life! 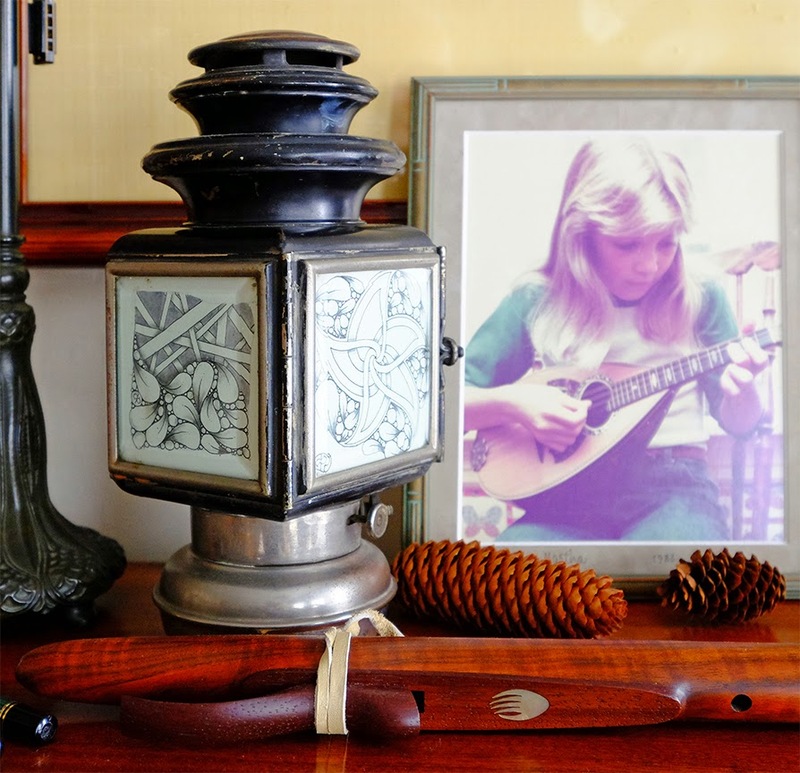 Or wedge one in a frame, . . .
. . . in between mandolin strings . . .
. . . or inside a car lantern found in Rick's dad's basement whose windows were exactly 3.5 inches square! Well, one other thing I like to do with my tiles is give them away! 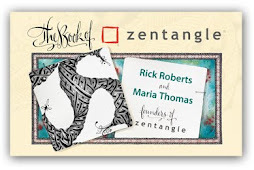 Let us know what you do with your Zentangle tiles and we'll send a gift* to one of you lovely commenters! 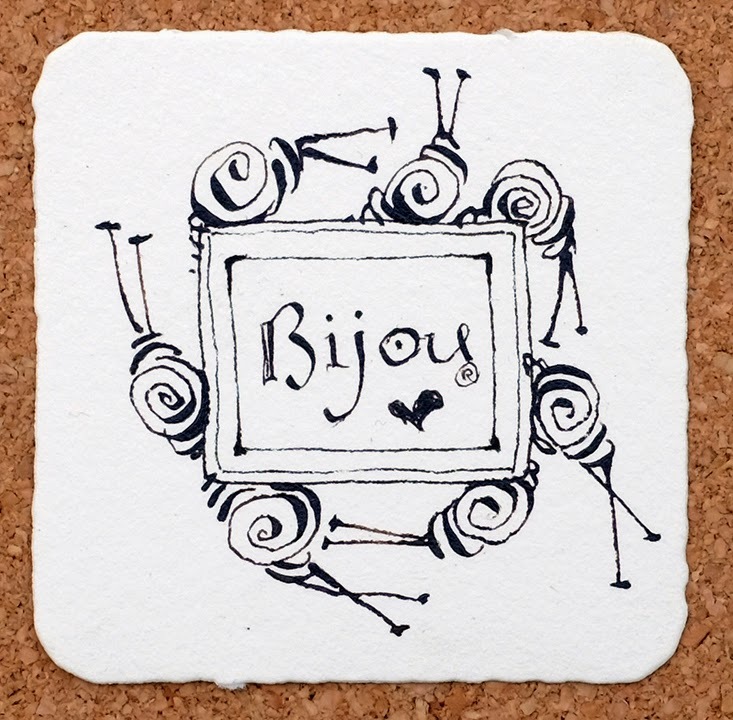 * Bijou insists we send a Tinful of Bijou Tiles! 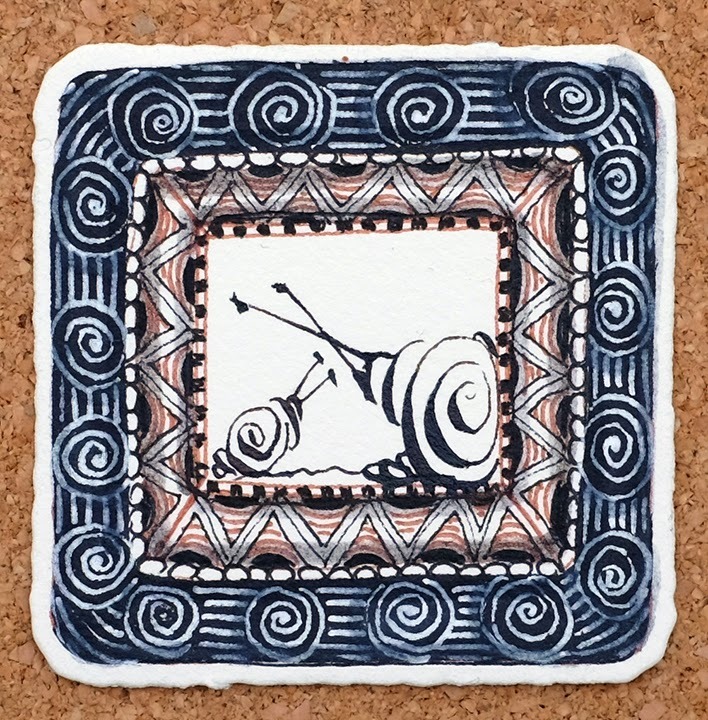 Merci beaucoup. . . . for the warm welcome into your Zentangle community. Here are a few portraits Maria has done of me and some of my friends. 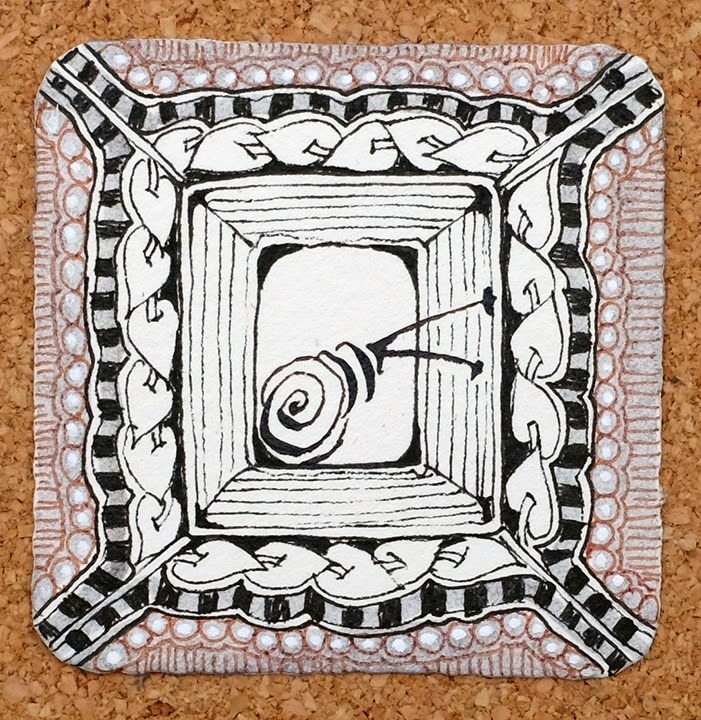 And, some fine Zentangle art as well from Molly and Rick. Mais oui, all of them on my "Bijou" tiles, naturellement. C'est magnifique! I hope to meet you all someday. Until then, I will keep you posted as to my tangles and whereabouts. I gave my first public interview to Laura Harms, CZT. It was a lot of fun. She asks good questions. You can read it here at her blog post. 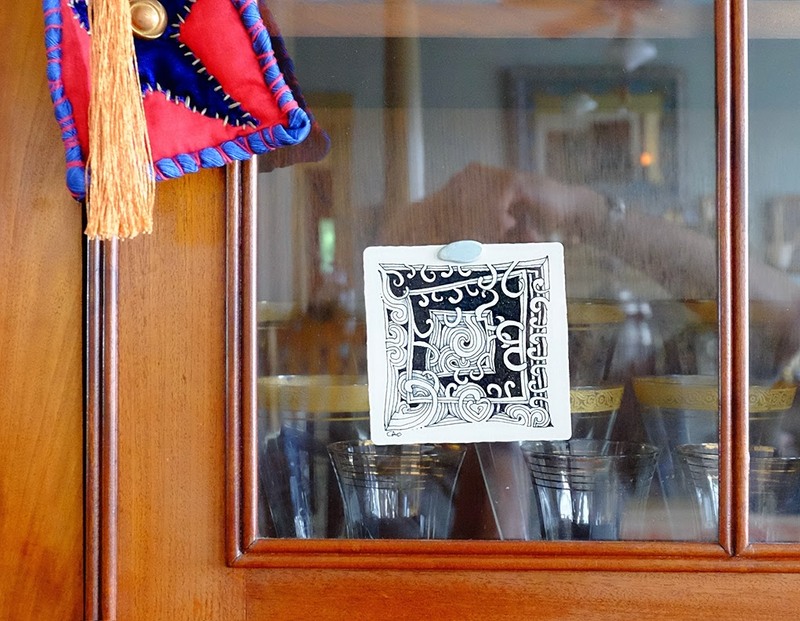 Many tanglers posted Zentangle art on Bijou tiles to welcome me. They are beyond magnifique. I am "over the moon" with joy!